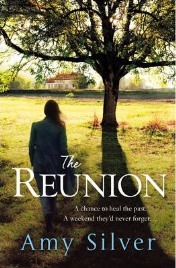 Amy Silver’s latest book, The Reunion, is fabulous. It is the sort of book that hooks you in from the very first page and keeps you hooked until the very last. It is a potently moving story of a group of friends who were torn apart by a terrible tragedy almost twenty years ago. Now, many years later the friends are back together but can things ever get back to the way they were or has too much happened? There were six friends who all met at university; Jen and Conor, Andrew and Lilah, and Natalie and Dan. When they were young they thought they were invincible; they could have whatever they wanted and they would make great successes of their lives.